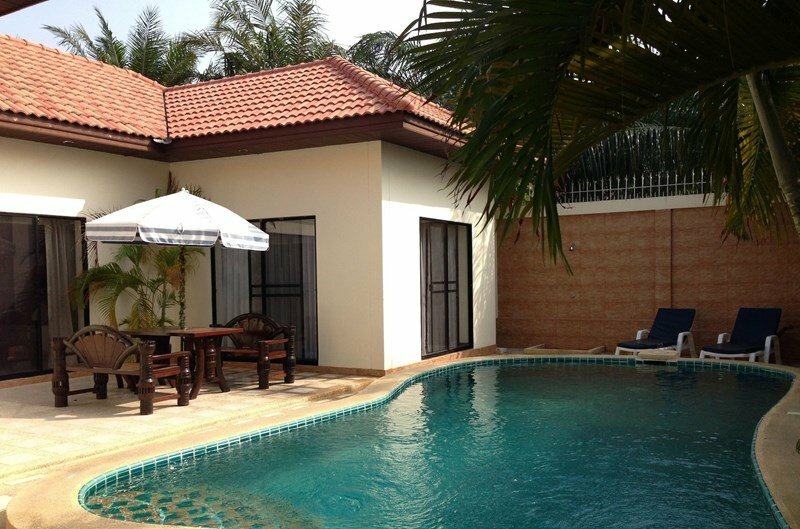 This beautiful villa has its own private swimming pool, completely private , the interior has been installed by Pattaya top designer including , Wifi , UBC cable TV , security box ,small garden act . situated in the most sought after 5 star location in Pattaya with the Royal Cliff Resort Hotel and the veruna yacht club and the residence of the royal princess as our close neighbors .Close by Cosy beach hotel. This Villa has its own Clubhouse ,a large communal swimming pool,sun deck spaces and its own private beach only 100 meters, also security Guards 24/7, only 10 minutes away from the vibrant South Pattaya and its Famous walking street and Jomtein beach one of Thailand most popular also only minutes away and from the office we can book you on any of over 100 Excursions daily The Famous Nong Nooch Tropical garden A gold Medal Chelsea Flower show 2010 and Elephant show or Bridge on the River Kwai ( Trip on the famous Death Railway a must for tourist ,new water slide cartoon network , Floating market , tiger zoo and many another attraction places,There are many top restaurants to choose from and only a few minutes from your door, Mata Hari Brunos, Pan Pan to name only 3. And for those who don’t want to drive there is a taxi service on call every 5 minutes,to Pattaya or Jomtein . , just visit our lovely Thai staff in the office for assistance. There are a host of good beaches within a short 10/15 minute drive, Ban Amphur is a beautiful harbour with excellent sea food restaurants and fabulous safe beach. Jomtien and Pattaya both have a wealth of water sports, good safe beaches,shopping and restaurants. From Pattaya you can take both private and puplic boats out to the many islands for swimming and diving ect. Pattaya after dark is just amazing with its world class shows, Night clubs and bars to keep you entertained all night.